You’re going to immediately wonder why you don’t make these more often. 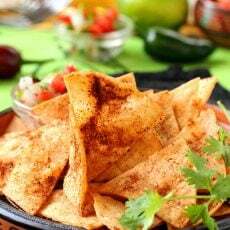 Have you ever been to a Mexican food restaurant where they serve chili powder on the tortilla chips? 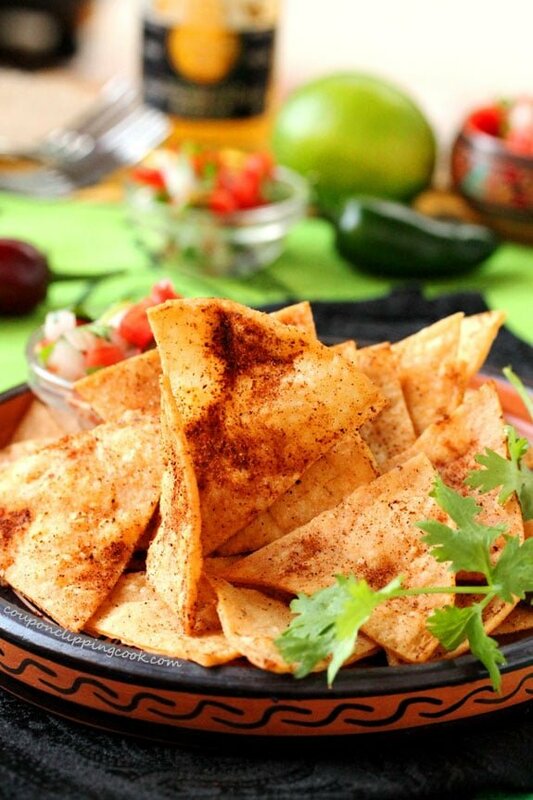 I love this one restaurant that serves chili powder on their chips but it’s so distracting when having dinner with others because the minute I spot a chip with a clump of chili powder on it I’m dying to grab it and gobble it up. But at the same time I don’t want to be rude and take all of the good ones. So as we’re all talking and carrying on with conversation I’m hardly able to listen because I’m plotting what chip I’m going to grab next. And then the inevitable happens. I’ve filled up on chips and am too full to eat my dinner. Happens every time I go to that restaurant. 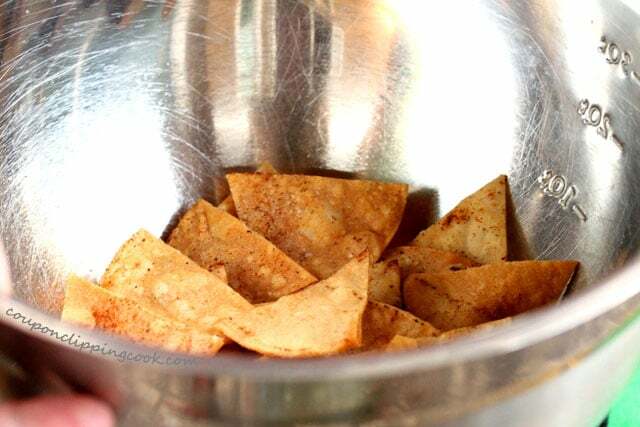 The good news is that homemade tortilla chips are super easy to make and can be easily amped up by adding as much chili powder as you like. 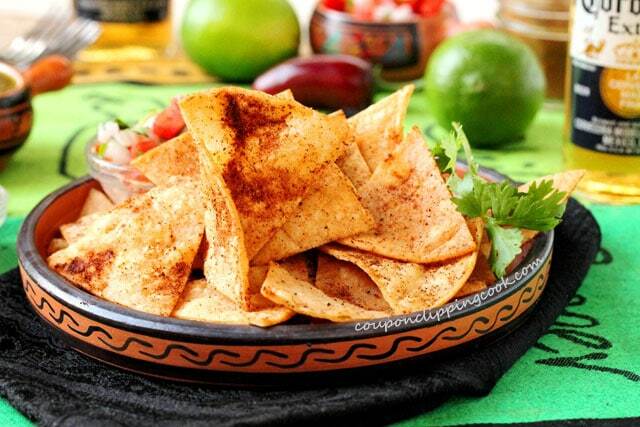 As a bonus, these chips come with a splash of lime juice too. 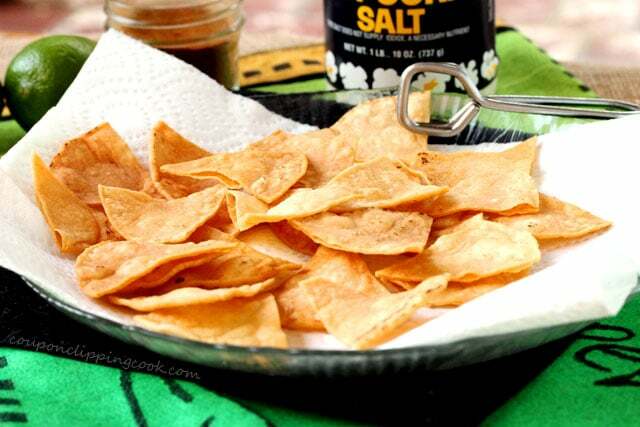 I like using popcorn salt on chips because it’s finely grained and sticks to chips nicely. 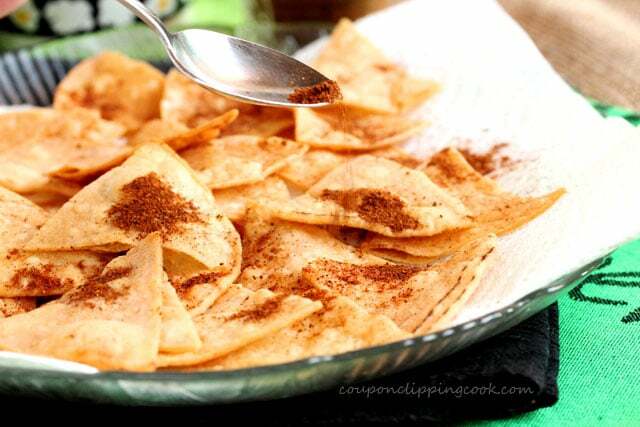 Even when there are clumps of Chipotle chili powder on them! 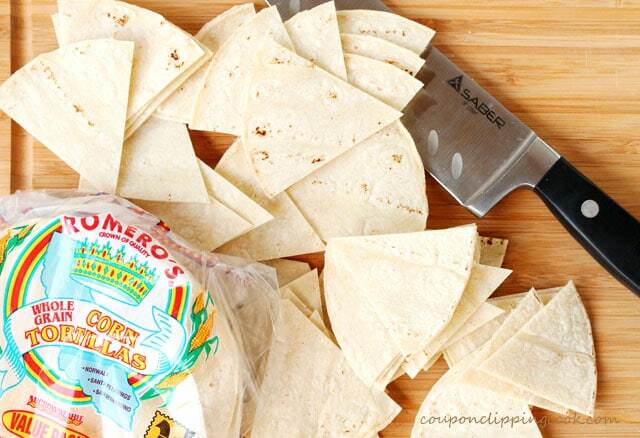 Cut the tortillas into wedges. 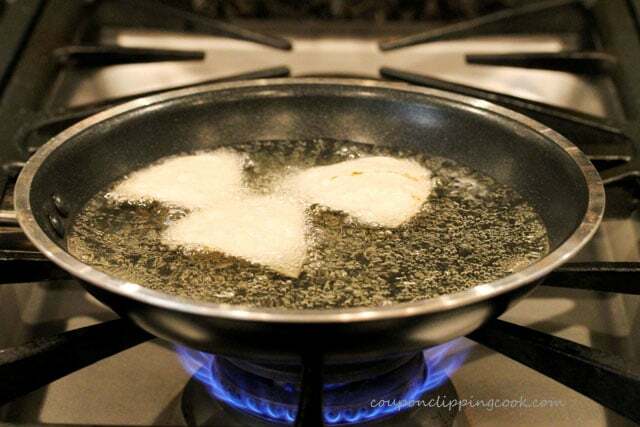 Heat a small to medium-size skillet on low to medium heat and add the canola oil. 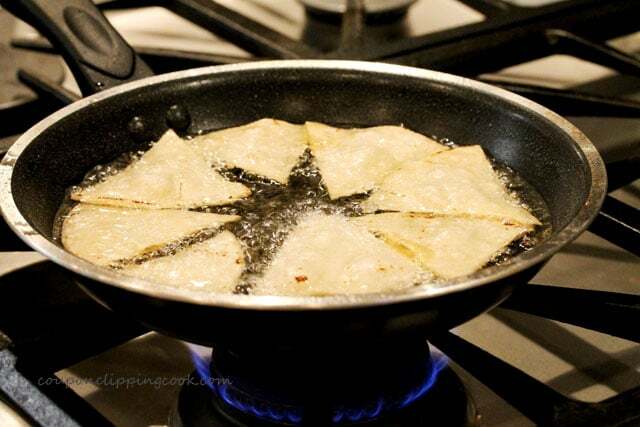 Add a tortilla wedge in the oil and when the oil starts to bubble add more tortilla wedges. Carefully watch the oil; if it gets too hot, lower the heat. 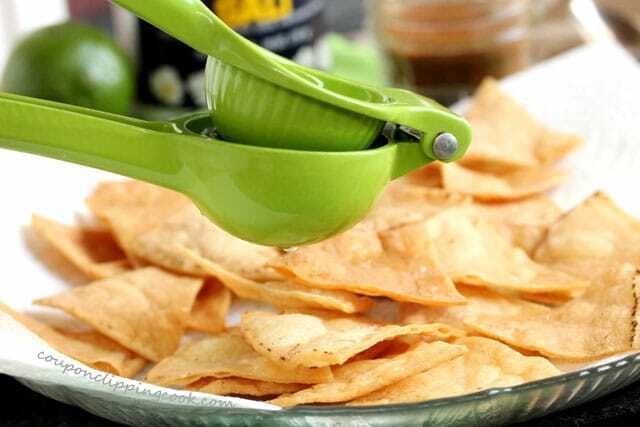 …using tongs, carefully turn them over. 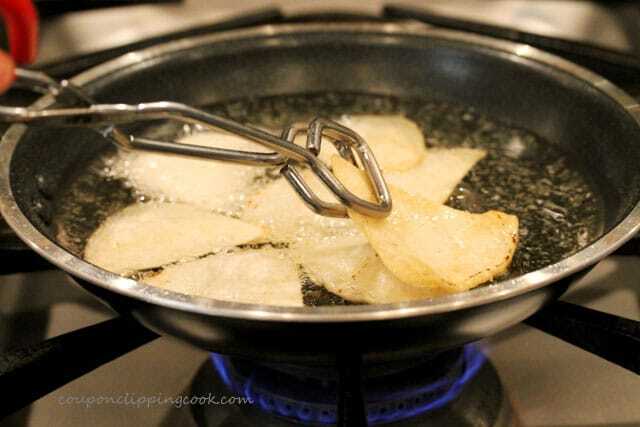 Once both sides of the chips are a golden color, remove them from the pan on to a paper towel-lined large plate. Continue the process in batches with the remaining chips. 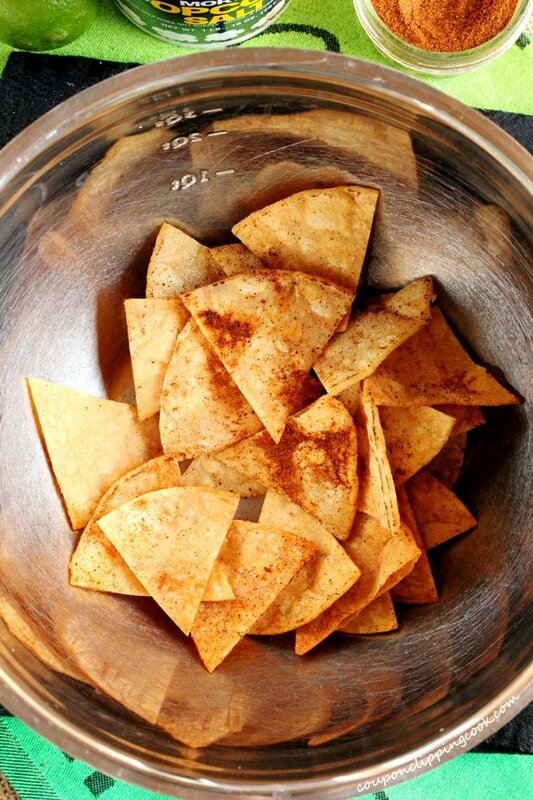 …and gently toss them so that the Chipotle powder and salt cover all sides. 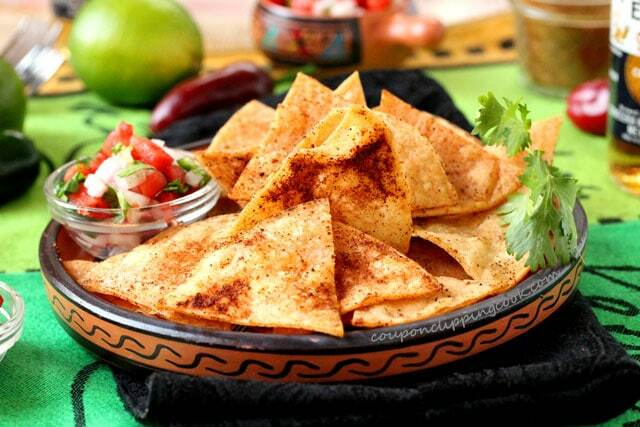 Remember to pick the ones with the most chili powder on them first before anyone else can. 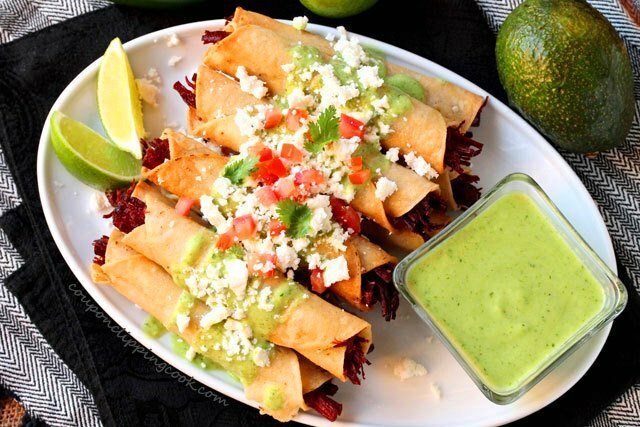 You're going to immediately wonder why you don't make these more often! Heat a small to medium-size skillet on low to medium heat and add the canola oil. 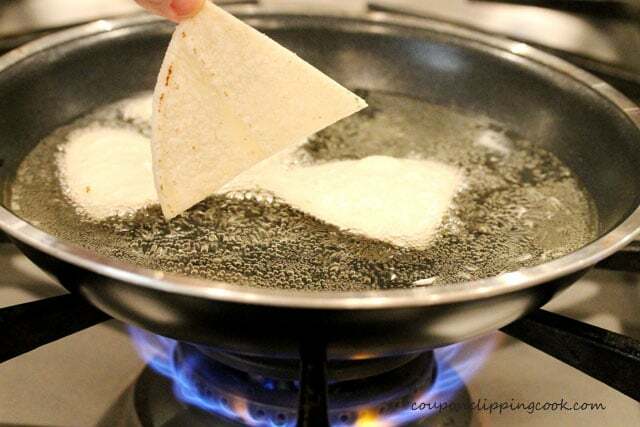 Add a tortilla wedge in the oil and when the oil starts to bubble add more tortilla wedges. 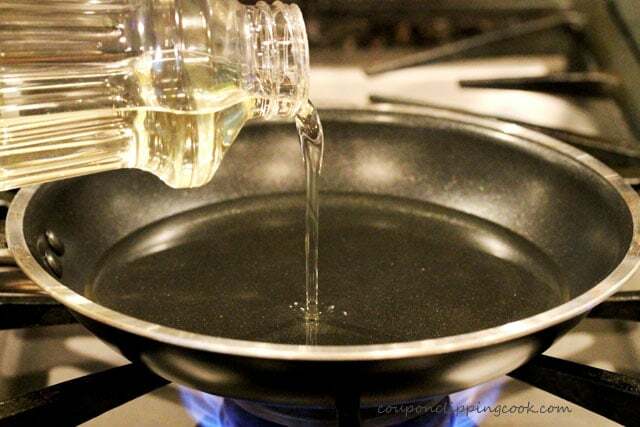 Carefully watch the oil; if it gets too hot, lower the heat. 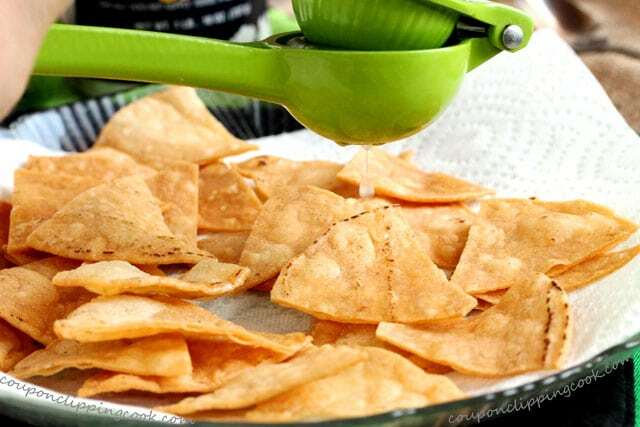 Once the bottom sides of the tortillas turn a golden color, using tongs, carefully turn them over. 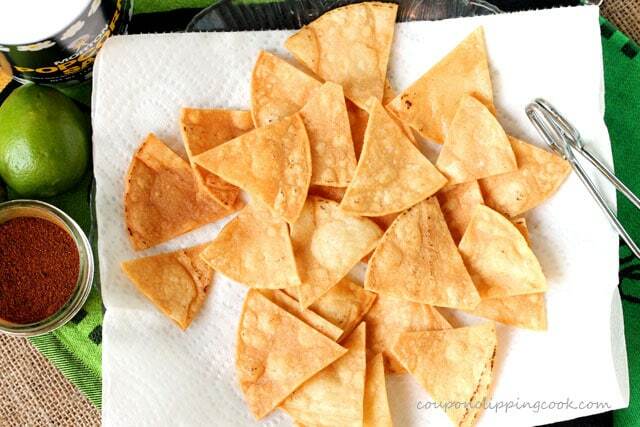 Once both sides of the chips are a golden color, remove them from the pan on to a paper towel-lined large plate. 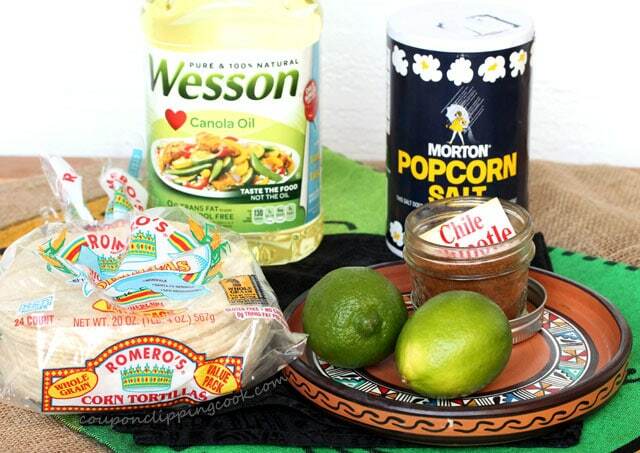 Continue the process in batches with the remaining chips. 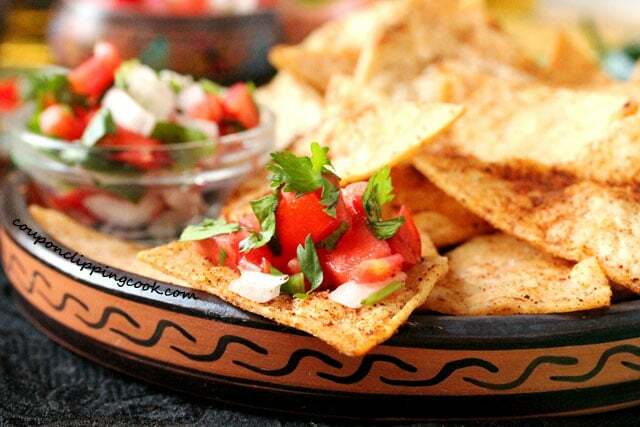 Drizzle lime juice on the chips. 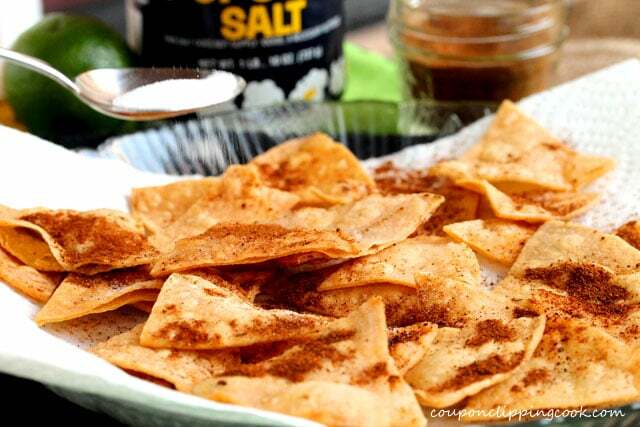 Sprinkle Chipotle chili powder and salt on the chips. 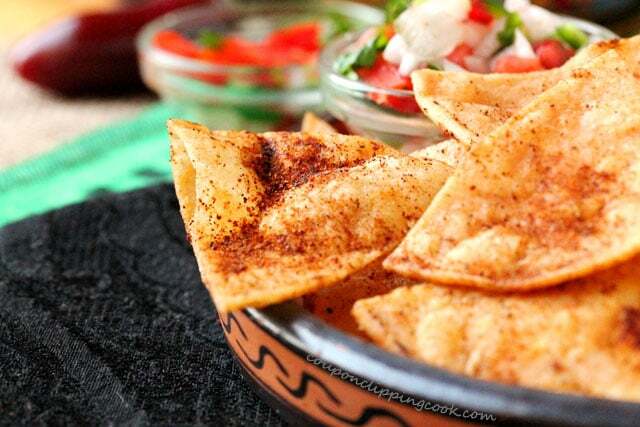 In a large bowl, add the chips and gently toss them so that the Chipotle powder and salt cover all sides. 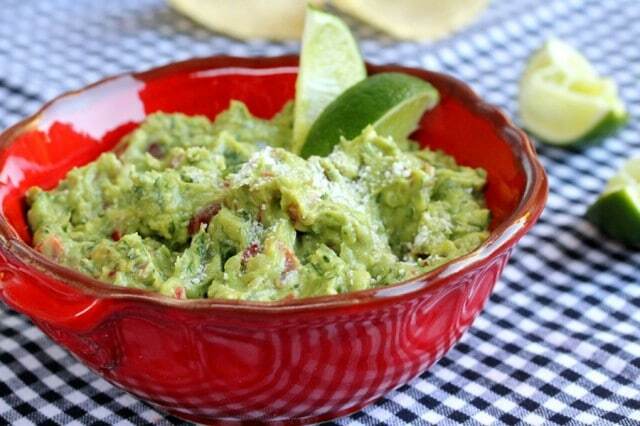 Serve with guacamole, salsa, or by themselves.